Roman Catholic observances are noted on this 12-month calendar. A funeral pre-planning form is included. 2020 Calendar. 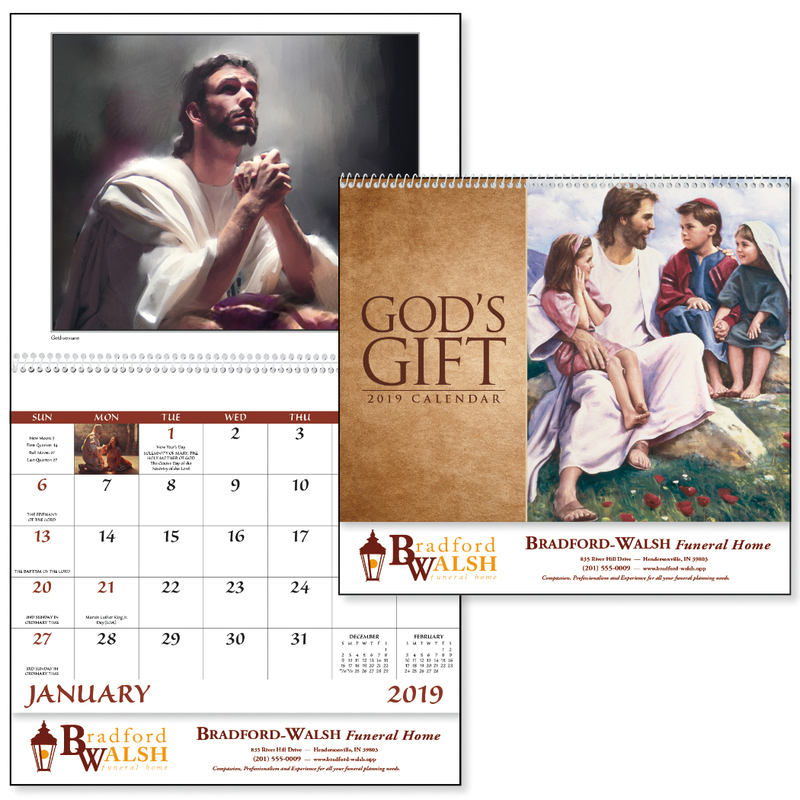 12-month calendar with funeral planning form beginning January 2020. Gloss Paper Stock with UV Coated Cover. High-quality Imagery. Top markets: general services, retail, religious.